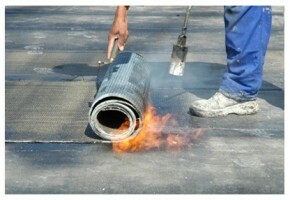 The day the roof on your commercial building was installed it began to degrade. No roof lasts forever. However, with proper preventative maintenance from Houston commercial roofing experts at Live Oak Construction, the roof of your Houston building can provide great service and protection for many years. The most important benefit of our maintenance program is that it allows us to monitor the condition of your roof assets on regular basis, identifying and correcting potential problem areas before they require major repairs. The result is a secure roof and savings for you. Live Oak Construction’s commercial roof maintenance program includes periodic inspection of the entire system including flashings, drains or gutters, masonry, etc. This inspection is done by a specialist trained to identify and correct potential problems before they become major issues. Recommendations are made to bring your roofing system up to standards. Minor repairs are made at the time of inspection. All debris is removed; gutters, leaders and drains are cleaned. A maintenance inspection report is forwarded to you upon inspection. Protect your investment by trusting the care of your roof to the commercial roofing contractors Houston property owners have relied on for more than 24 years – Live Oak Construction.